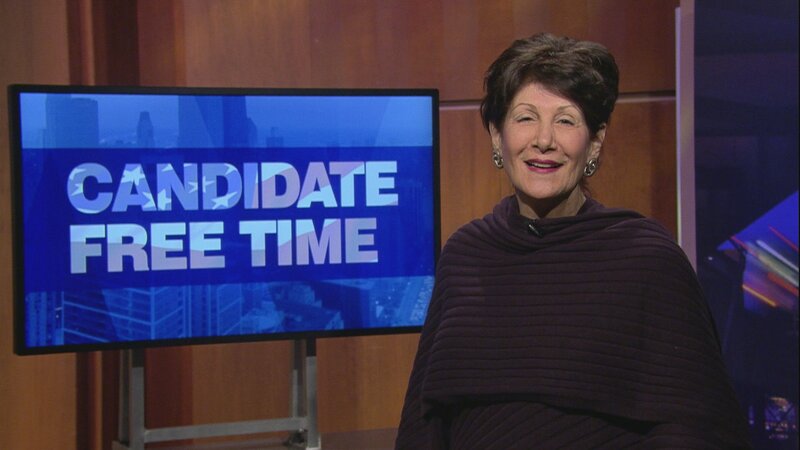 Video: Maria Pappas tells voters about her platform. Learn more about Candidate Free Time. Political Experience: As a Cook County commissioner, I spent two terms grounding myself in knowledge of how government works -- what it does well and what it needs to do better. I became known as a budget hawk who insisted on making government serve the people better -- more efficiency and less cost. As Cook County Treasurer, I have shown that commitment by making my office the best in local government. I cut staff from 250 in 1998 to 88.5 in fiscal 2018. If I had kept my staff at 250, my budget today would be $42 million. Today my office’s budget is $12.9 million budget, only $900,000 of which comes from taxpayers. Commercial users provide $12 million at no cost to taxpayers because they are willing to pay for convenience services we developed for them. The Cook County treasurer manages the property tax collection system in Cook County by accurately collecting, investing, distributing, and issuing refunds on real estate tax payments in Cook County. • When no other Illinois county had the ability for taxpayers to prepay 2017 taxes, my office was ready. I had electronic capability in place for taxpayers to simply pay online or to download their bill and pay at a Chase Bank. I collected $750 million in prepayments, money that will ease financial burdens on local governments. • My Office budget is $12.9 million, only $900,000 of which comes from taxpayer revenues. My office is funded by commercial users paying for efficiencies I provide them. This is the 17th straight year my corporate budget has been reduced. • Down from 250 in 1998 to 88.5, (64.6 percent). If I had not reduced staff, the Treasurer’s Office budget would be $43 million. • The DDO has provided bright sunshine indeed to the idea of transparency in government. I drafted the DDO and the County Board passed it at my urging to require 549 primary local governments provide their financial data and reports annually so that my office can display it on tax bills and my website. Taxpayers can demand that governments explain why taxes seem to be always rising. • Turned an open-outcry auction of unpaid taxes that took nearly a month to an\ automated process that takes four days. • Program that allows taxpayers to receive each tax bill via email instead of a physical hard copy bill. 33,572 bills are sent via email. • In July 2017, the office began offering taxpayers the option to download or print their PDF tax bill. 92,889 have been downloaded. • In 1998, there were two payment options. Now, there are nine payment options, including online and credit card. • Since 2002, my Office has collected more than four million online payments. Yearly, 460,000 online payments are made. • 143,000 credit cards payments have been paid since July 2012. • With 54 million visitors since 2004, cookcountytreasurer.com is the website that never sleeps. Visitors pay; check payment status; search for refunds; check four-year exemption history; download forms, applications and brochures; get taxing agency data via the DDO; and see information in 103 languages. • Informational brochures have been downloaded 480,339 times since 2006 with foreign language brochures downloaded 402,503 times. • In English, Polish and Spanish, 323,903 inquiries were received from January 1, 2016 to March 1, 2017, providing information on payments and refunds. My call center also handled 67,000 live inquiries. • Received and answered some 137,000 emails since 2003. Automatic responses are generated before a taxpayer submits a question. • My office receives a daily file that contains updated owners’ names and addresses and automatically changes where tax bills are sent to ensure the new owner gets their bill. • Incorporated 4,765,458 individual paper pages from 12,011 worn and crumbling Warrant Books into an electronic system. • The office implemented the first phase of a Paperless Customer Service System in 2016. • Designed a program that, since 2010, has "stopped" more than 65,000 overpayments (about $272 million) which would have had to be processed as refunds and returned to taxpayers. • Reduced processing time for Property Tax Appeal Board (PTAB) refund by importing an electronic file and eliminating paper applications. • For court-ordered refunds, the office created a web-based interface that attorneys utilize during the court proceedings and refund process. • The office sent multiple delinquent notices and continues to partner with various elected officials throughout the city and suburbs. Due to this outreach, there were only 11,031 PINs sold last year, the fewest number sold in the last ten years. Our efforts continue with Aldermen, County Commissioners, State Representatives, State Senators and Municipalities as the next annual sale will be held in May 2018. Enabling the people to see what government is doing, how it spends the money that the people give it is the overarching issue of our time. My office has taken a giant step in governmental transparency with the Debt Disclosure Ordinance that I developed and the County Board passed at my urging. The DDO gives owners of homes and businesses information on debts and spending by their local governments. The figures are printed on property tax bills and are available on my website, cookcountytreasurer.com, for taxpayers to see. Now taxpayers can demand that government explain why their taxes seem to be always rising. I will continue pressing for greater transparency in government to overcome the knowledge deficit that clouds the relationship between people and their public servants. Hello. I’m Maria Pappas, and I welcome this opportunity to talk about my record as the Treasurer in Cook County. • Uncashed checks worth $30 million were sitting in trays on the floor. • No lockbox. No website. • Taxpayers stood in long lines to pay their bills. I have transformed the office by embracing automation and efficiency. – Instead of 250 employees, and a budget of $43 million, I have 88 positions and a budget of $12.9 million. • Banks and mortgage companies who utilize our services and systems fund the majority of the budget. – There are nine options to pay taxes. – In December, I offered online prepayments and electronic tax bills. $750 million was collected from 120,000 payers. – My website gets 450,000 visits every month and is a virtual one-stop shop for property owners. – I wrote the county’s Debt Disclosure Ordinance for taxpayers to have unprecedented access to view where their tax dollars are going and how it is spent. – When Annual Tax Sale date was moved sooner, I created an outreach program to partner with community leaders and elected officials. – Last sale, only 11,031 PINs were sold. Fewest in over 20 years. There’s more work to be done. Just as the banking industry is undergoing a transformation, so too am I continuing to automate the Treasurer’s Office. • Automatically refund taxpayers via direct ACH instead of check. • Exploring ATM or kiosk payments. • Expanding online bulk payments. • Become entirely self-funded independent of taxpayer-funded sources. While my prior accomplishments seem impressive, I continue to forge ahead. I ask for your vote, and I thank you for your attention.